Colonial Packaging began operations in March 1987 in Sumter, South Carolina. After a trip to colonial Williamsburg, VA, Bill Kaneft and his wife Jan were inspired to name their newly founded company after this historic town. Like our nation in its infancy, Colonial would have a strong bend towards independent ownership, be fairly small, personal, cohesive, and resilient. During our first year, we experienced a significant amount of growth. 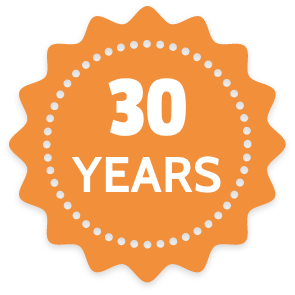 In December of 1988, we moved into a larger facility that provided us with a centralized distribution location as well as a warehouse that enabled us to better serve our customers requiring inventory. We have continued to grow and expand since 1987. Our operations consist of 15 full-time employees and several part-time workers. Colonial Packaging Inc.'s family atmosphere provides customers with quality products and competitive prices in a context of personal, responsive service. Plant Audits - With over 30 years experience in plants across the US, one of our sales specialists will review on site all of your flexible packaging at no charge. They will develop a proposal based on experience to help eliminate waste and curb costs. Packaging Designs - One of our team members can work with you from the ground floor up designing the right packaging solution for you and your product. Big or small, we are here and able to help. Competitive Quality - Colonial Packaging only utilizes food grade, top-of-the-line materials throughout our manufacturing process and can meet any standard on the market today as to safety needs. We are proud to have served our customers since 1987. Colonial Packaging's strong family ties give it a unique staying power unlike other modern businesses. Colonial will work with you to stock inventory for "Just in Time Needs" to help you reduce inventory floor space and improve cash flow. One Source - We are your one-stop-shop when it comes to flexible packaging. There is no need to have multiple suppliers when we can offer you a turn key solution under one roof. Multiple Mill Capacity - Colonial utilizes manufacturing throughout the United States, so there is no threat of any service interruptions based on weather or unexpected conditions. Frequent Visits - We strive to visit all of our customers face-to-face on a regular basis. One of our sales specialists will visit you on site as often as necessary to ensure customer satisfaction. Personal Service - You can reach one of our staff 24/7 for dedicated and live customer service when you need us. Inside Staff - We have a diverse cross-trained team of excellent problem solvers dedicated to solution driven customer service. Give us a try!